The conservative argument is that Mr Pawlenty, if he wants to run for president in 2012, would boost his chances if he blocks Mr Franken. That’s just not true. Becoming identified with a partisan election count is the political equivilent of biting down on a cyanide capsule. What was Katherine Harris’s reward for verifying the Florida election count in 2000? Two terms in Congress, sure, but a total party abandonment in 2006 when she ran for Senate. What was Ken Blackwell’s reward for protecting George Bush’s Ohio campaign in 2004? More disrespect from his own party, which tried to deny him the 2006 nomination for governor and then abandoned him. 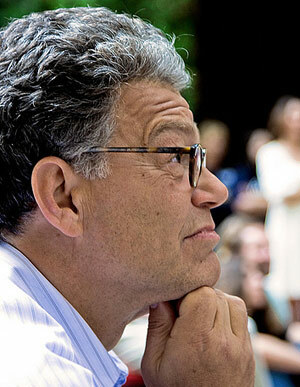 If Mr Pawlenty wants a political second wind, it’s good news for Mr Franken. If The Economist is right, you can expect to see Senator Franken strolling around Capitol Hill by early July. Photo courtesy of flickr user ohad*.